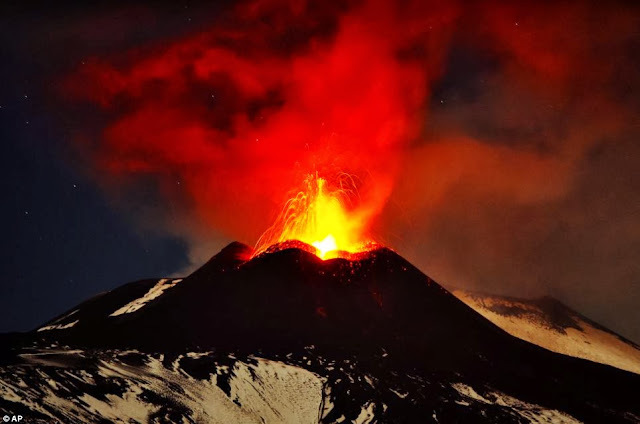 Mount Etna erupts again - sixteenth paroxysmal eruption recorded this year, and is spewing molten lava above the Sicilian countryside. The eruption, which was captured on camera from Acireale, near Cantania, sent thick plumes of smoke and ash over the Italian island last night. The breathtaking footage shows the volatile volcano emitting streams of hot lava from the earth's core.